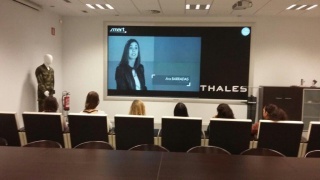 On March 8th, Thales Spain organized a breakfast with female engineers who are expert in the fields of security, defense and aeronautics, as part of the Girls on the Move Week 2018. An informal breakfast to share about the engineering profession and discover our Experimentation Centre. See the breakfast's pictures below.